Here is the list of some FAQ's on licensing. These FAQ's are also available on Tally's site in PDF format. But for users convenience here they are in HTML format. Q 1: What is Tally 8.1 Silver/Single user licensing? computer, with an option of activating it Online or Offline. with Internet connectivity and activate the license. Q 2: What is Tally 8.1 Gold/Multi-user licensing? Activation process is similar to that of Single-User Licensing. Q 3: How do I obtain a License/Tally Serial Number in Tally 8.1? There are two ways of obtaining the License/ Tally Sl. No. The Activation Form appears as shown below. 3) Enter the Serial, Key and E-mail. The Tally SI. NO. displays on the top right corner of the screen. On starting Tally, you will find displayed an Activation Form dialog box . displays three fields Serial, Key and Email. 3. Key-in the correct Serial, Key and Email and press Enter. A message displays the successful generation of the tally_req.lic file. CD and take it to any computer with Internet connectivity and Tally installed in it. 6. Start Tally and go to F12: Configure > Licensing > Offline. 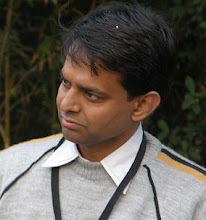 computer and paste the tally_resp.lic file into the Tally folder of your computer. 9. Start Tally and you will see the following screen confirming the license activation. Configure > Licensing, I do not see the options ‘Online’ and ‘Offline’. Why? displays all options available to a single-user. Q 5: What is List Add-Ons? purchase these modules through the TVP (Tally Value Pack). Q 6: Is activation of license a one-time procedure? days of activation. Tally prompts you to validate the license before the expiry period. Q 7: How do I carry out an Online validation of the license? Tally switches to Educational mode. Q 8: How do I carry out an Offline validation of the license? Internet, you can validate the license on any computer with an Internet connection. Follow the Instructions mentioned in the answer to Question no. 3, section b. Tally will switch to Educational mode. Q 9: What does Surrendering Tally License mean? activated on the first computer. 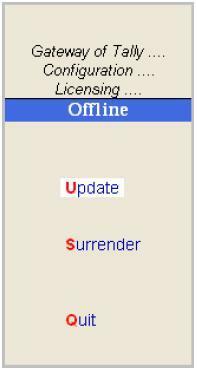 Go to F12: Configure > Licensing > Online/Offline. gets updated, the license file in the Tally folder is deleted. activate the same license on a different computer. any computer with Internet connectivity that has Tally installed in it. Q 10: My Computer is going to be formatted what should i do? Before formatting the system surrender the Tally first either online or offline as described in Q 9. After reformatting install Tally and activate the license again. Q 11: I have to replace my computer what should i do can i activate it on another computer simultaneously? No. The license can be activated only on one computer. In case of change of machine first Tally should be surrendered and then activated on new machine. Q 12: My computer is no longer operational and Tally is not surrendered What should i do? You have to inform Tally solutions by email at support@tallysolutions.com with your serial no. and registration details. It would be reset within 24 hrs. Alternatively call Tally support on toll free numbers. I hope this thing would help you a lot any other queries are welcomed. Ihave formatted my computer with out surrender tally 9.0. Now it is not been loaded in the computer and it showed "the licences is already activeted , surrender it and try it again". When i enter sl. no. & key no . it showes the same things. What should i do? plz give some suggesation .